When it’s time for you or a loved one to be discharged from the hospital, you can expect to have a lot on your mind and on your to-do list: medications, transportation, insurance, staffing for clinical or assistive care, doctor appointments, monitoring, record-keeping, medical or assistive equipment, safety precautions, and home modifications. 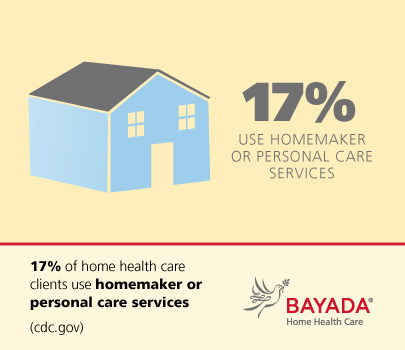 It is recommended to engage home health care services before discharge. We can handle many of these moving parts for you, and pave the way for a smooth and safe transition back home. The job of our home health team of professionals is to make sure the patient and their family get the services, supplies, and information they need to be comfortable during the transition from hospital to home. What is the role of a Transitional Care Manager (TCM)? Most hospitals now have TCMs onsite, and they are a terrific resource to help identify discharging patients who will need home health care services and to handle coordination of care. Even without a hospital-based TCM, your local home health care provider can assign you an RN clinical manager to serve the same function, to oversee your transition and post-acute care as one point of contact for your family, doctors, and other case managers and service providers. Your TCM and clinical manager will get to know you and assess your needs and personal preferences before discharge. Invite them to attend your discharge meetings in the hospital; they can be a great advocate and resource for you. Your TCM and home care office will collaborate to help obtain needed medications and supplies, get medical authorizations, create a personalized care plan, and train in-home caregivers to meet your post-acute care needs. What kinds of care are available at home? A lot has changed in the last few decades. Hospital stays are becoming shorter, and the home is becoming the center of health care delivery. Most care plans—even high-tech plans of care for the most complex or catastrophic conditions—can be implemented in the comfort of home, with the same levels of quality physical, occupational, and speech therapies available in rehab facilities. Even when a treatment plan reaches its end, comprehensive, excellent hospice care is available in the home. As a unique benefit, one-on-one attention in the home, surrounded with the support of loved ones, often leads to better patient outcomes and better patient satisfaction. How can health care in the home keep you or a loved one out of the hospital? If your home nurse detects a change in your health condition that puts you at risk for complications—such as a fever or infection—they can call your doctor to get a prescription and doctor’s orders to immediately start a new medication, or to modify your treatment plan. Quick interventions like these go a long way to prevent potential health problems before they become serious. What about emergencies that require hospital care? Patient safety always comes first. If an emergency arises in the home, 911 is activated, all parties are notified, and authorizations are acquired. The home nurse can provide emergency medical services with the current plan of care, and often will accompany the patient to the hospital to provide support and answer any questions. If the patient is hospitalized, the home care office will notify the transitional care manager. The TCM will follow the patient in the hospital and be one point of contact for progress notes and a discharge plan. The TCM will notify the home care office of any changes to the care plan upon discharge, and the office will ensure their staff are trained to care for your needs when you return home. 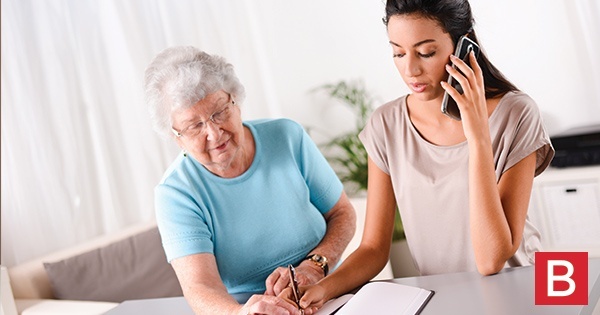 There are many intangibles that an excellent home care provider brings to the table that can’t come from any other professional source or health care setting. Our care transition teams work diligently to help our clients handle everyday challenges by providing education for family caregivers and empowering them in their own health care decisions, giving everyday oversight to prevent illness and injury, and coordinating medical records, bills, and services. All of these personalized support systems relieve stress on the household and add up to a more calm, peaceful home environment to achieve the best possible healing and well-being. Here's how we handle pediatric care transitions.